Have you ever heard the Greek’s saying? He says “opios viazete scondafti”, which means: something will happen to whoever is in a hurry. And, because I never found out what the meaning of the word “scondafti” was, I could only imagine that “something” happening to someone in a hurry could actually mean anything. It was only then that I came to understand the weight of the words spoken with patience and the value of the round about phrases that make the struggle for a goal seem like a walk in the park. Just sit here, I need to feel your presence. 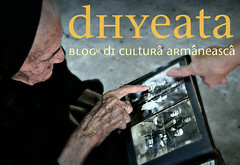 After fifteen years, I start to write my book about Aromanians again. It doesn’t come easy as I have forgotten a lot of things and all I have today are bits and pieces from my old obsessions. 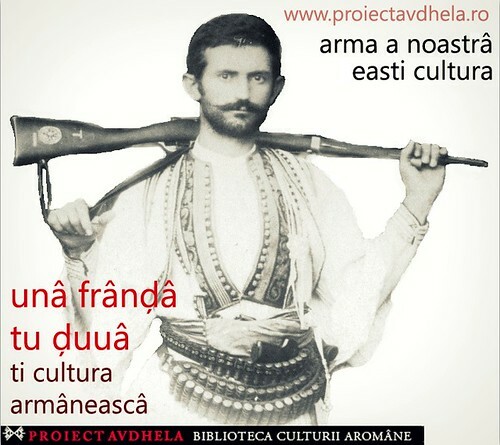 I do not see Aromanians everywhere around me anymore, like I used to do, and I find it more difficult to take facts established as truths in 150 years of studies and turn them upside down. It was different back then, it was as if I was a lunatic. I was experiencing visions. Every now and then, without knowing when it would happen, I used to feel a millennium of history running through my veins. To be more precise, I felt as if an apple was falling through a torn paper bag. Tens of thousands of people, with their sheep, their gold, their words and their thoughts stood in front of my eyes, the Aromanians of all times became real and intelligible and all I was left to do was ask them questions. The experience was devastating. I felt responsible for any oversight. I was trying to formulate all the questions at once. Faster, now… I couldn’t. In the last minute, I would decide to ask a single question to one person and one person only. But, by the time I would choose the best question and I would pick the best person to ask, the image would painfully vanish. I immediately started to write. I dreamt about writing a book that had pockets and whiskers. I was going through a special experience altogether, my soul was tormented. Going back in time, I discover that the root of my unrest is an old one. I was four years old when my father used to take me to Bardaca’s coffee shop, behind the National Bank. We passed by the tables and my father would hold my hand and would tell everybody: Look, it’s my daughter, Miss Aromania. The people in the coffee shop were all Aromanians and they knew that my father had married a Greek woman. To test my feelings, they inevitably asked me one question: ţe hi tini? Meaning: what are you? And I used to answer back to them, speaking in Greek, that I was Greek. The horror! They would all go mad but my father replied that everything was as it should be. 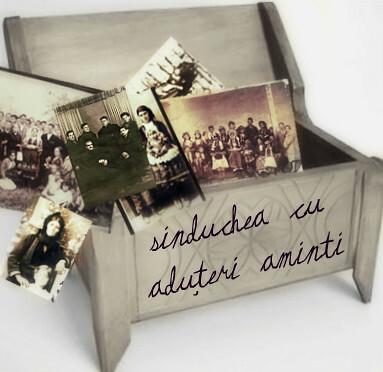 A lot later, when I turned 18, I noticed how lonely my father must have felt in a house with three Greek women and I decided to take his side. I found myself saying: I’m Aromanian, I’m Aromanian, for my father’s sake I’m Aromanian. The urge for solidarity went as it came. But it just so happened that one winter, at 8 o’clock in the morning, Saint Nicholas filled our boots with tears and koliva candies. My father had died. Pavel Şafarica left behind an entire universe. At the time, I didn’t exactly know what to do with it. It’s like that with legacies: you either accept them, or you don’t. If you accept them, then you are responsible for what comes of them, if you don’t, then that’s betrayal. A research theme got me out of the dilemma and it was because of it that I discovered my father’s world to be also my own. 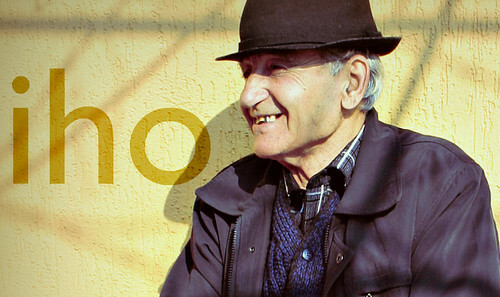 Every time I start writing about Aromanians, I feel as if my father comes to winter inside my soul. Come, dad, have a sit! I brought the basin to wash your feet. Here you have meat and there you have cold water. It’s all right again… I started to write your book. And I was wondering if it would be possible for you to stay by my side all my lifetime and for eternity? The Greek women in my family never wore any make-up. They considered a pale face to be a virtue. Only an aunt of mine knew how to use a lipstick. She would put make-up on, anytime and anywhere. The absence of a mirror was no impediment for Pepo. Holding the lipstick in her right hand, she gazed at her face in the palm of her left hand and traced two horizontal brackets, the color of cyclamens, with the precision of a dream. I was a child back then and I peeped in the “mirror” of her empty palm, but all I could see was her short life line. The whole story was awfully moving. Go further, I used to tell her, try doing it without the palm, come on! To convince her, I used to grab her left hand and press it against my chest. I can’t, my aunt protested. Yes, you can! Then the lipstick would pass beyond the old borderline of her lips and would draw a crooked mouth with the thick paste. For a long time, I used to think that the square mirror, which she rarely took out of her purse, had imprinted in her mind a part of its power to reflect. Then, it occurred to me that the palm was the place she fixed her eyes on and that, without actually looking anywhere, she would trace a mental contour that her memory had once stolen from the mirror. P.S. you can find Irina Nicolau’s book in Romanian on our site- the online Aromanian Cultural Library, here. 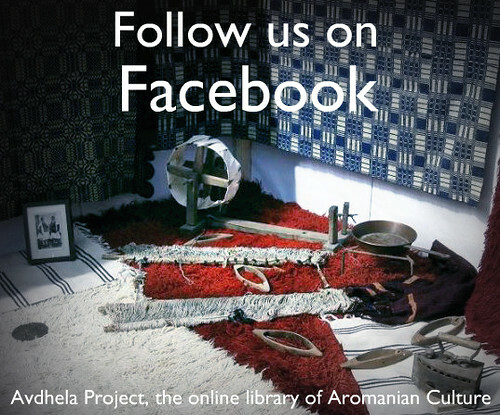 This entry was posted in arman, Aromanian, aromanian books, Aromanian Culture, Aromanian literature, Aromâni, Avdhela, Avdhela Project, biblioteca virtuala, Culture, Dhyeata, haide bre, irina nicolau, literatura, literatura armaneasca and tagged aduteari, apriduteari, aromanian-english, manakia, manakia brothers, manakia photo, manakia photography, nicolau, traduteari, translation. Bookmark the permalink. Bunâ-vâ oara şi ghini vinit!